Do you ever wonder where all your ideas wander off to? I do. I’m pretty sure most of my better ideas sneak off and have pizza parties and don’t invite me. 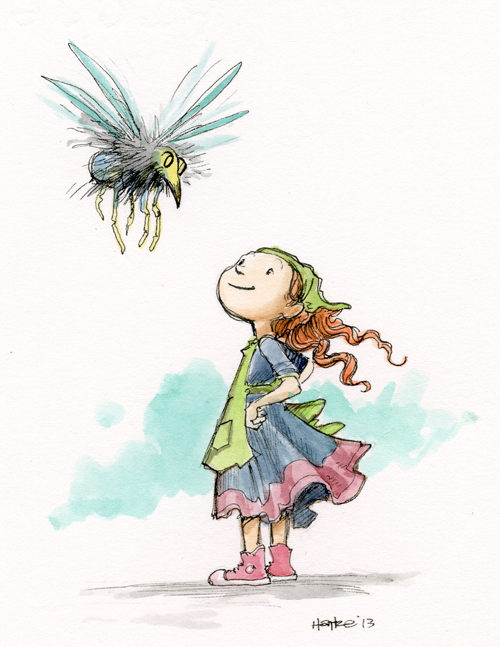 I’m working on a picture book these days. It’s called Julia’s House and it’s about a little girl who opens her house up to all the creatures that no one believes in. Dragons, fairies, mermaids, trolls ...and what happens when they all show up.